This 16 ounce, double walled tumbler is the perfect, practical gift for medical staff and students. Features a screw on, spill resistant, flip-top lid and sleek ergonomic design. Dishwasher safe.Minimum of 24. One time setup $25. 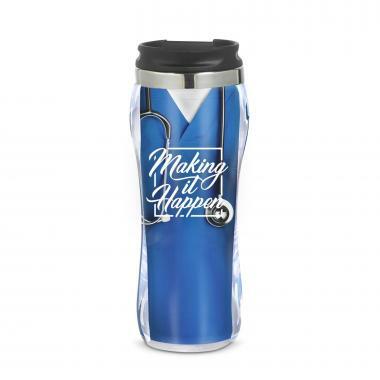 We're currently collecting product reviews for Making it Happen Hollywood Scrub Tumbler. In the meantime, here are some reviews from our past customers sharing their overall shopping experience.